This classic novel is one that helped define the science fiction genre and inspire generations of writers; one of Jules Verne's greatest achievements. 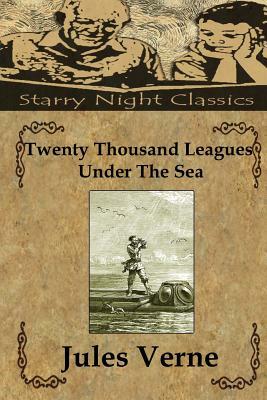 Several castaways are rescued by Captain Nemo, and his fantastic underwater ship, the Nautilus. While on a thrilling and dangerous quest along the bottom of the ocean, they are forced to fight off sea monsters, mechanical failures and even attempt to escape Nemo himself in the ultimate undersea adventure.